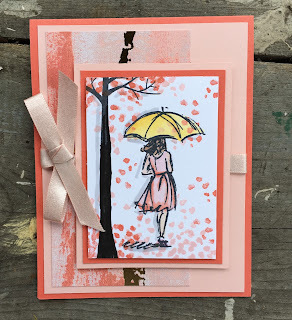 There is nothing better than a guilt free stamping weekend! This weekend my upline, Kay Cogbill from Paper Made Prettier, put on her biannual retreat. The retreat was only $260 for an amazingly comfortable twin bed for two nights, a whole table just for me, five meals, and tons of snacks! We also had eight make n' takes, table gifts, and a great big goodie bag! But the best part for me was the uninterrupted stamping time! Oh, and the views! This place is beautiful! I had my three full card swaps and my two ATC card swaps planned and partially prepped to get finished while I was there. I had a project that I wanted to complete for the folks in my office, and for some reason I thought I would have extra time to work on some unfinished Paper Pumpkin kits! I also had hoped to go down to my room and get the sets of card parts cut for the two cards that I'm going to be demonstrating in my OnStage presentation. But alas, that didn't happen either! There were lots of lady bugs in our rooms and I didn't want to accidentally squish one on any of my paper or pack one away to discover on stage! I signed up for three swap groups (11 cards each) at the Ft. Worth OnStage event. 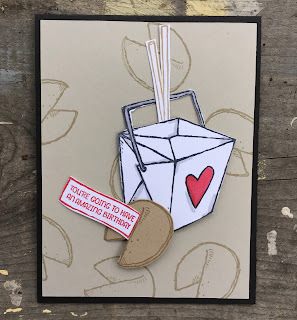 I had my cards already designed and had everything (well mostly!) packed together to make these cards go as quickly as possible. 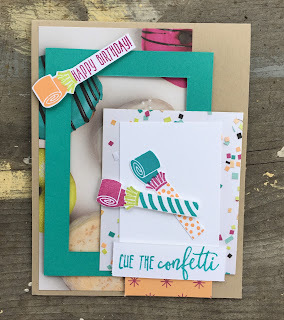 I love the Picture Perfect Birthday Suite so much! It is my absolute favorite from the Occasions Catalog! These noise makers (or do-ta-dos as we called them growing up!) 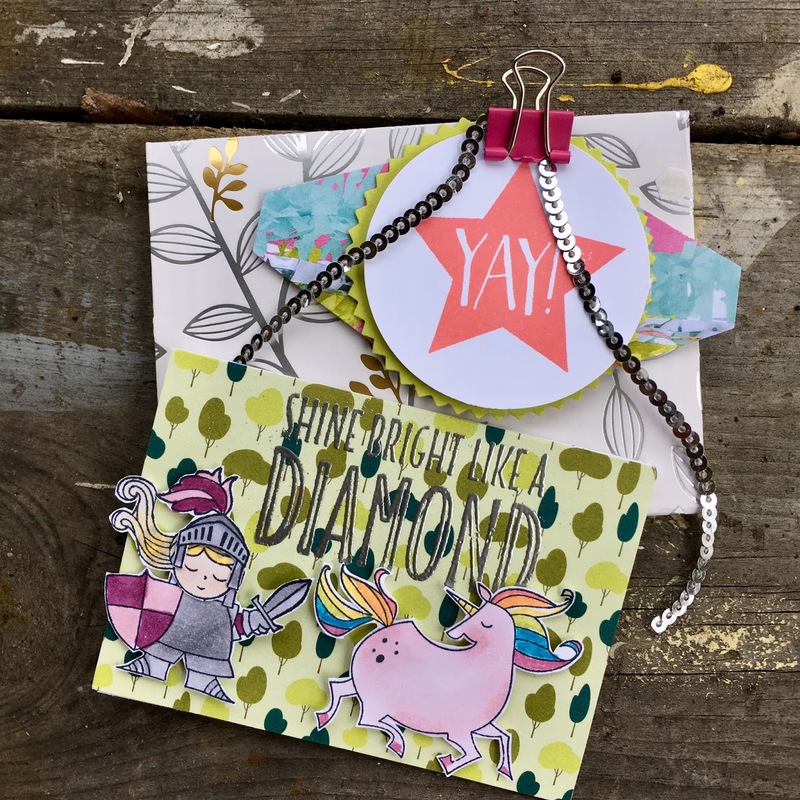 are so cute and so easy to stamp with the Stamparatus. This donut paper makes me want more donuts from the Donut Shoppe in Las Vegas! This is my hubby's favorite card from the weekend. This set caught my eye as soon as I looked through the catalog in Salt Lake City. It feels like a hidden gem to me and I hope by making it a swap some people will discover it and use it in a class before June! We have had an awful winter here in Arkansas and I have been yearning for spring and warmer weather. I love the idea of SO MANY flowers falling from the trees that you need an umbrella to keep them off of you! This is how I imagine it is in Japan when you go see the Cherry Blossoms. When I got ready to start on this card I realized that I hadn't packed either of the stamp sets! Kay had the Sheltering Tree set but no one had brought Beautiful You with them. One of the ladies had gone home for the night, so we texted her and she brought the set with her on Saturday! Thanks, Mary, you saved the day! I also signed up for two ATC (Artist Trading Cards, 2 1/2" X 3 1/2" cards) swaps of 10 cards each. I love ATC cards. I consider them little works of art. It's so fun to force yourself to think small! One of my favorite things to do is to find stamp sets that I love but haven't used as much as I had hoped. This cupcake set is one of those sets. It was so hard to line up correctly! But now that I have my stamparatus, it's not hard anymore...and you can make them really quickly! 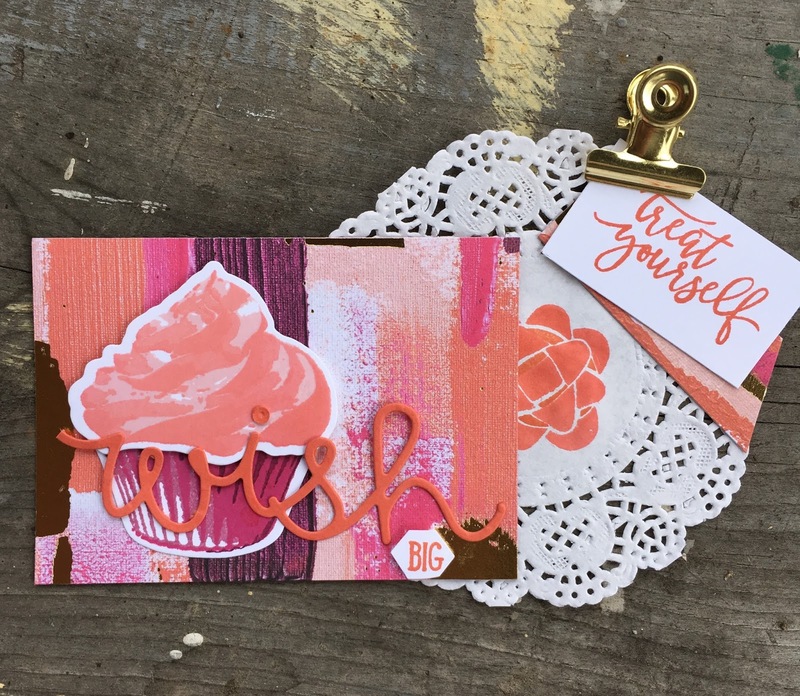 I didn't like just having a little card and my business card in a clear envelope, so I made stamped the doily and made the "treat yourself" banner to clip on the front of the envelope to jazz it up! I love the Myth and Magic stamp set, but it seems unfair that all girls get is a mermaid, doesn't it? Girls can totally be knights and wizards, too. I colored the mermaids faces and hair and then cut them off (!!). I colored the armor, shield, helmet, and sword of the knight and cut his plume off. And because the mermaid has bigger hair than the knight, I colored another helmet and plume and cut the knight's face out (!!). I layered them all together and voila! A girl knight! And of course she has a unicorn as a steed. This ATC card got an envelope with a decoration clipped to the front. The ATC and my business card are inside. These swaps were so much fun to make! Now I have to decide if I'm going to make any swaps for the rest of OnStage. I think I want to make some...now to find another unsung hero stamp set from the catalog.